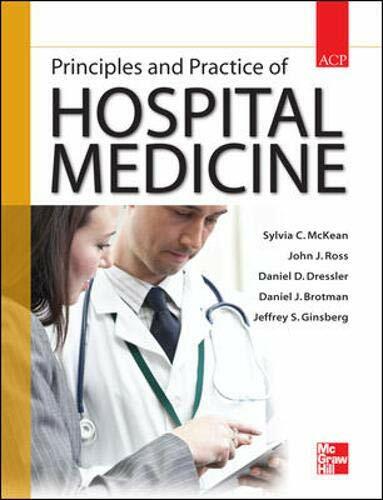 Presented in full color and enhanced by more than 700 illustrations, this authoritative text provides a background in all the important clinical, organizational, and administrative areas now required for the practice of hospital medicine. The goal of the book is provide trainees, junior and senior clinicians, and other professionals with a comprehensive resource that they can use to improve care processes and performance in the hospitals that serve their communities. Hospitalist Skills: Covers the interpretation of common “low tech” tests that are routinely accessible on admission, how to optimize the use of radiology services, and the standardization of the execution of procedures routinely performed by some hospitalists. Dr. McKean is one of the pioneers in hospital medicine, and is very influential within the Society of Hospital Medicine.